Welcome to the Huntsville Hospital blog. The early arrival of winter is an important reminder that the flu season will soon follow. Last year was one of the worst on record for the incidence of flu among every age group, especially children and seniors. Huntsville Hospital understands the health threat flu presents for you, your family and our community. Immunization of our staff is a top priority for their protection and our patients. We encourage you to take the flu shot yearly. 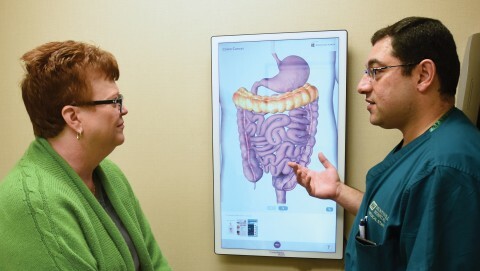 For years, Americans have been told they could generally wait until age 50 to have a colonoscopy. If you’re like most people, summertime fun means spending time outdoors. 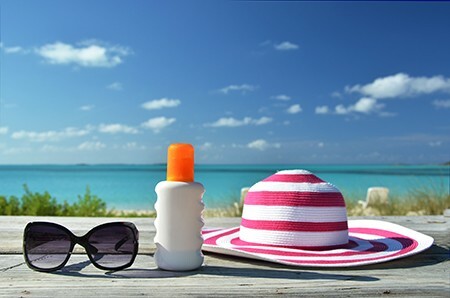 But whether you’re playing in the surf at Gulf Shores, fishing on Smith Lake, lounging around a swimming pool or camping in the woods, remember to protect your skin from the harmful effects of the Alabama sun. Throughout the year I have the opportunity to speak to many community and professional groups on the subject of Huntsville Hospital Health System, as well as on health care in general. In discussing the complexities and challenges of our nation’s health care system, most people agree that achieving a lasting political solution is just about impossible. Whether you are Republican or Democrat, our representatives are influenced by politics and the constant pressure of re-election. Such an environment makes it so difficult to come up with a workable and reasonable answer. A sweaty gym in central Huntsville may seem an unlikely setting for a miracle, but don’t tell that to Carolyn Rhodes. She’s convinced the gym’s high-energy Rock Steady Boxing workouts can slow the symptoms of Parkinson’s disease. 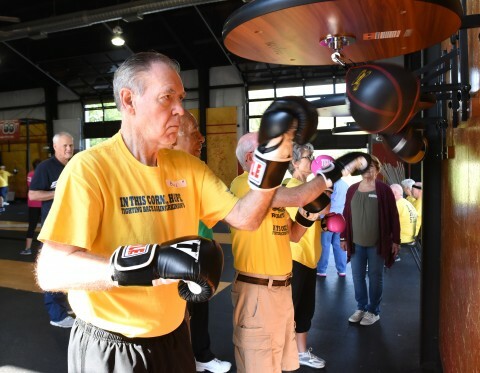 Earlier this year, Huntsville Hospital’s Jean Wessel Templeton Community Health Initiative awarded Rock Steady Boxing a $22,000 grant to help pay for gym space and coaches. 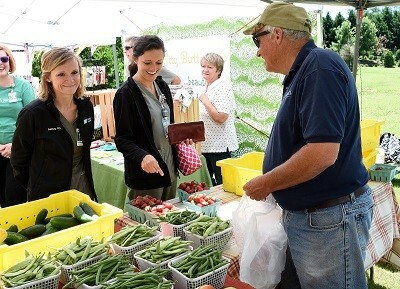 The hospital grant program distributes $500,000 annually to nonprofit organizations working to improve the health of Madison County residents. 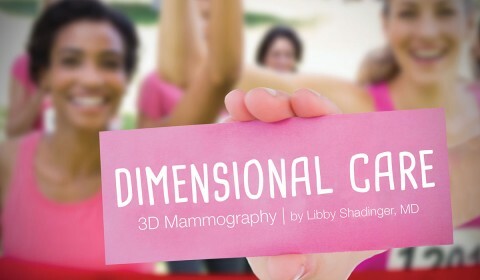 The Huntsville Hospital and Madison Hospital Breast Centers are entering their third year with 3D mammography capability. As the demand for this technology grows, we continue to replace our 2D digital mammography units with 3D-capable equipment. As the largest volume breast center in the state, the costs of expanding 3D mammography is substantial. But we believe this investment will benefit our patients. Huntsville Hospital knows that in order to build a healthier and more active community, you have to move beyond the walls of the hospital. Fire up your grills and get ready for some football! It's great to see our favorite teams back, but it's also the unofficial start to the season of weight gain. People find it hard to control their weight starting now through the New Year. Here are five tips to help you stay healthy while you enjoy cheering your favorite team on. In the Spring 2017 issue of Source, Huntsville Hospital's community magazine, I hesitated to predict what Congress might do regarding the repeal and replacement of ObamaCare. The Republican controlled Congress has tried to come up with a plan that is acceptable to all segments of the party, but as of early August, the nation’s health care law remains unchanged. The rub for some is the impact that repealing the current law will have on state Medicaid programs, which serve the indigent. In Alabama, the Medicaid program remains in a state of uncertainty following the recent announcement that the proposed model to use regional care organizations (RCO) would no longer move forward. There were many reasons for the decision but the primary factor was the changing environment in Washington that no longer points to RCOs as the best solution. 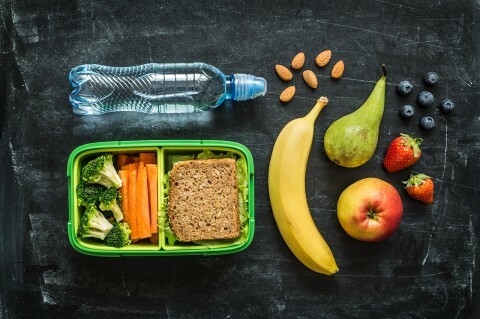 For parents, thinking about lunches is a key part of preparing for the new school year. The biggest question is: Are they going to buy or bring, and which is healthier? The purpose of lunch is to fuel your child’s brain for the afternoon classes and to fuel their bodies for after-school activities. You want to provide your child with a nutrient-rich meal that has lasting energy. 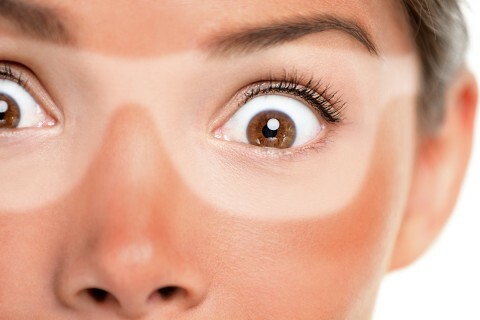 May is Melanoma/Skin Cancer Detection and Prevention Month. Let’s use this month to raise awareness about skin cancer and help people take action to prevent it or detect it early – at home, at work and in the community. Bright lights, loud sounds, strange people, painful touches and little control – the hospital can be a scary and overwhelming place for any child and family. Patients known as the Baby Boomers and Generation X generally held the view that “doctors know best,” while physicians expected patients to follow their medical advice. But today’s model of the doctor-patient relationship looks much different – patients have access to a lot of different health information and physicians can provide more treatment options, requiring a good doctor-patient relationship. Are back problems keeping you from living life to the fullest? If so, you’re not alone. About 80 percent of adults will experience lower back pain at some point in their lives. Back pain typically first strikes between age 30 and 50, and it becomes more common later in life. There are many different triggers for back pain: muscle strains from lifting a heavy object; traumatic injury; spinal disc degeneration; nerve damage. We hope your new year is off to a great start. For those of us who work in health care, 2017 promises to be one of the most interesting and challenging years that we’ve faced. The Trump Administration is in office and efforts are underway to repeal and replace the controversial Affordable Care Act (ACA). There is no guarantee on what the final product may look like, but it will likely retain some elements of the ACA—keeping the elimination of the pre-existing condition clause and continuing to allow eligible children up to the age of 26 to remain on their parent’s insurance. Regardless, change is coming to the nation’s health care insurance system and that creates a lot of uncertainty for patients and providers. Why is weight loss so important? Three years ago, the American Medical Association declared obesity as a “chronic disease state.” Obesity is a national epidemic which is correlated with multiple issues including heart disease, diabetes, metabolic issues, significant physical limitations, and an early death rate. 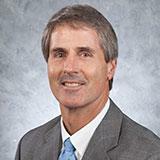 We address this issue using realistic and long-lasting solutions.